Rescuers rushed to the tunnel in a locomotive. From inside came the sound of the stalled engines still puffing slowly; bodies were sprawled beside the track; 530 passengers had died of asphyxiation. The date was March 2, 1944. The Allied Military Government hushed up the accident then because of the adverse effect it would have had on Italian morale; the accident received little publicity after the war. Eventually 300 lawsuits, asking damages of more than one billion lire ($1,600,000), were filed by relatives of the victims. Not until last week, when the cases were pending before the Naples Appellate Court, did the Italian press give wide publicity to the worst accident in Italian railroad history. 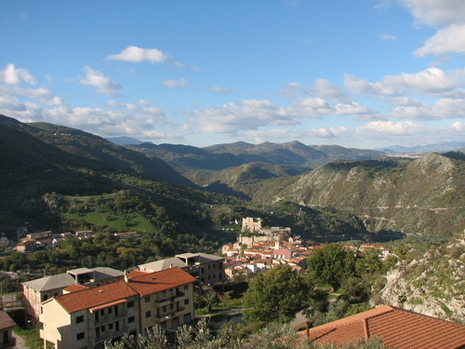 Balvano was a tiny town between two long tunnels in the Apennines. It was raining as the 8017 began to ascend the Galleria delle Amri tunnel pass just outside of Balvano. Almost immediately, it was forced to stop. There were conflicting reports as to why this happened: either the train was unable to pull the overloaded freight cars up the slope or the train stopped to wait for a train descending in the opposite direction. In any case, the train sat idling in the tunnel for more than 30 minutes. While this might not have posed a severe danger in some circumstances, the train s locomotives were burning low-grade coal substitutes because high-grade coal was hard to obtain during the war and the coal substitutes produced an excess of odorless and toxic carbon monoxide. Just after 6 P.M. on March 2, 1944 the locomotive No. 8017, reached Eboli, beyond Battipaglia. At about 11:40 P.M. the train carried many illegal passengers. The train chugged slowly upward another 4 miles to stop at the small Balvano station that lay between two long tunnels. A downhill train was having locomotive trouble. While No. 8017 waited for the "clear track ahead" signal, half of its 47 cars were in the lower tunnel wrapped in a blanket of black coal smoke left by its two locomotives. The tunnel was steeply graded and the freight train grossly overloaded with its passengers. The train stalled with almost all the cars inside the tunnel. The passengers and crew were overcome by the smoke and fumes so slowly that they failed to notice the dangers. Most of the few survivors were in the last few cars which were still in the open air. The main culprit was carbon monoxide gas produced as a by-product of combustion, and carbon monoxide poisoning is a well recognized danger when machines are used, or fires occur in enclosed environments. It combines with haemoglobin when inhaled, so the victim dies of anoxia or lack of oxygen. It is still the principal cause of death in mine disasters after a fire or explosion.